This just in: Some in Congress are using fear of fire to increase logging and decrease public involvement on National Forests across the country. With a sneaky trick called a “rider”, timber industry politicians attached legislation to the must-pass Appropriations Bill that significantly increases the amount of logging exempted from review under the National Environmental Policy Act (NEPA). In response to this, and other anti-environmental riders, 237 scientists sent Congress a letter criticizing its approach to fire management because the largest fires are driven by weather, not fuels, and cannot be impacted or stopped by human activity. Concluding that fires, including large ones, are an ecologically essential part of forest ecosystems, the scientists dispute the industry's familiar refrain: "we have to log the forests to save them!" Closer to home, Mt. Hood National Forest is using the same fear-based rhetoric to justify logging more than 12,000 acres of northern spotted owl critical habitat in the Crystal Clear Timber Sale. While the Forest Service says the project is an "opportunity to restore resiliency to forested areas and reduce the risk of uncharacteristic wildfire behavior," the facts point otherwise. 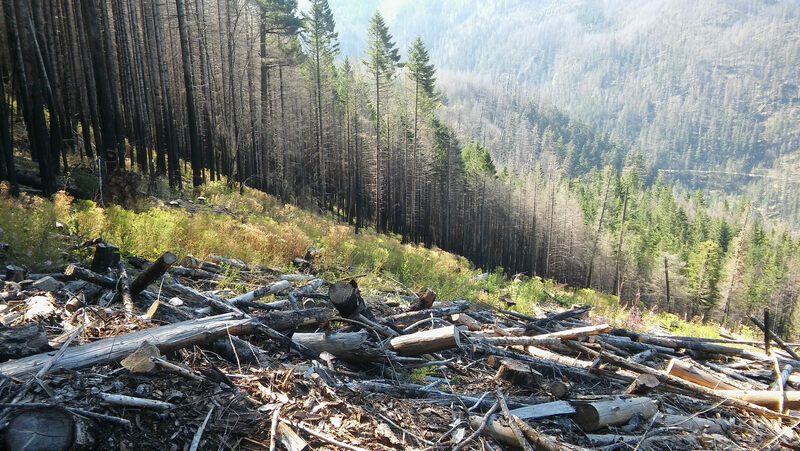 For example, the timber sale would log almost 4,000 acres of mature and old growth forests that are already resilient to disturbance, including fire. 84% of the project area naturally has mixed- or high-severity fire regimes, and most of it is not outside of its typical fire return cycle. On top of that, the project is not near communities that actually need thinning and fire breaks. Take action today! Encourage Senator Merkley to ask the Forest Service about their scientific support for logging mature forests, in threatened owl habitat, to “save” them from their natural cycles of disturbance. P.S. This May one of Portland's most dedicated environmental educators, Gradey Proctor of The Arctos School of Herbal and Botanical Studies, will be teaching a 2-part botany course to raise funds toward the continued development of Bark's resource library. Click here to learn more about this incredible program and register.